In India non profit organisations/ public charitable organisations (NGO) can be registered as trusts, societies, or a private limited non profit company, under section-8 companies. 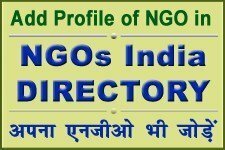 Non-profit organisations in India (a) exist independently of the state; (b) are self-governed by a board of trustees or ‘managing committee’/ governing council, comprising individuals who generally serve in a fiduciary capacity; (c) produce benefits for others, generally outside the membership of the organisation; and (d), are ‘non-profit-making’, in as much as they are prohibited from distributing a monetary residual to their own members. Whether a trust, society or section-8 company (previous section 25), the Income Tax Act gives all categories equal treatment, in terms of exempting their income and granting 80G certificates, whereby donors to non-profit organisations may claim a rebate against donations made. Foreign contributions to non-profits are governed by FC(R)A regulations and the Home Ministry. CAF would like to clarify that this material provides only broad guidelines and it is recommended that legal and or financial experts be consulted before taking any important legal or financial decision or arriving at any conclusion. I. Trusts Registration A public charitable trust is usually floated when there is property involved, especially in terms of land and building. Main Instrument : The main instrument of any public charitable trust is the trust deed, wherein the aims and objects and mode of management (of the trust) should be enshrined. In every trust deed, the minimum and maximum number of trustees has to be specified. The trust deed should clearly spell out the aims and objects of the trust, how the trust should be managed, how other trustees may be appointed or removed, etc. The trust deed should be signed by both the settlor/s and trustee/s in the presence of two witnesses. The trust deed should be executed on non-judicial stamp paper, the value of which would depend on the valuation of the trust property. Trustees : A trust needs a minimum of two trustees; there is no upper limit to the number of trustees. The Board of Management comprises the trustees. Application for Registration : The application for registration should be made to the official having jurisdiction over the region in which the trust is sought to be registered. After providing details (in the form) regarding designation by which the public trust shall be known, names of trustees, mode of succession, etc., the applicant has to affix a court fee to the form and pay a registration fee which may range differently, depending on the location and value of the trust office and trust property. The application form should be signed by the applicant before the registrar, sub-registrar, deputy registrar, regional officer or superintendent of the regional office of the charity commissioner or authorised registrar. The application form should be submitted, together with a copy of the trust deed. Two other documents which should be submitted at the time of making an application for registration are affidavit and consent letter. Legislation : Societies are registered under the Societies Registration Act, 1860, which is a federal act. In certain states, which have a charity commissioner, the society must not only be registered under the Societies Registration Act, but also, additionally, under the Bombay Public Trusts Act. Main Instrument : The main instrument of any society is the memorandum of association and rules and regulations (no stamp paper required), wherein the aims and objects and mode of management (of the society) should be enshrined. Application for Registration : Registration can be done either at the state level (i.e., in the office of the Registrar of Societies) or at the district level (in the office of the District Magistrate or the local office of the Registrar of Societies). (2) The procedure varies from state to state. However generally the application should be submitted together with: (a) memorandum of association and rules and regulations; (b) consent letters of all the members of the managing committee; (c) authority letter duly signed by all the members of the managing committee; (d) an affidavit sworn by the president or secretary of the society on non-judicial stamp paper, together with a court fee stamp; and (e) a declaration by the members of the managing committee that the funds of the society will be used only for the purpose of furthering the aims and objects of the society. All the aforesaid documents which are required for the application for registration should be submitted in duplicate, together with the required registration fee. Unlike the trust deed, the memorandum of association and rules and regulations need not be executed on stamp paper. III. Section-8 Company – (Old Section-25) According to Section-8 of Indian Companies Act, 1956 (Old section 25(1)(a) and (b) of the Indian Companies Act, 1956, a section-25) a section 8 company can be established ‘for promoting commerce, art, science, religion, charity or any other useful object’, provided the profits, if any, or other income is applied for promoting only the objects of the company and no dividend is paid to its members. Legislation : Section-8 companies are registered under section 8 of Indian Companies Act 2013 (old section-25 of the Indian Companies Act, 1956). Main Instrument : For a section-8 company, the main instrument is a Memorandum and articles of association (no stamp paper required) Board Members : A section-8 Company needs a minimum of three members; there is no upper limit to the number of members. The Board of Management is in the form of a Board of directors or managing committee. 1. An application has to be made for availability of name to the registrar of companies, which must be made in the prescribed form no. 1A, together with a fee. It is advisable to suggest a choice of three other names by which the company will be called, in case the first name which is proposed is not found acceptable by the registrar. 2.Once the availability of name is confirmed, an application should be made in writing to the regional director of the company law board. The application should be accompanied by the following documents: Three printed or typewritten copies of the memorandum and articles of association of the proposed company, duly signed by all the promoters with full name, address and occupation. A declaration by an advocate or a chartered accountant that the memorandum and articles of association have been drawn up in conformity with the provisions of the Act and that all the requirements of the Act and the rules made thereunder have been duly complied with, in respect of registration or matters incidental or supplementary thereto. Three copies of a list of the names, addresses and occupations of the promoters (and where a firm is a promoter, of each partner in the firm), as well as of the members of the proposed board of directors, together with the names of companies, associations and other institutions in which such promoters, partners and members of the proposed board of directors are directors or hold responsible positions, if any, with description of the positions so held. A statement showing in detail the assets (with the estimated values thereof) and the liabilities of the association, as on the date of the application or within seven days of that date. An estimate of the future annual income and expenditure of the proposed company, specifying the sources of the income and the objects of the expenditure. A statement giving a brief description of the work, if any, already done by the association and of the work proposed to be done by it after registration, in pursuance of section-8. A statement specifying briefly the grounds on which the application is made. A declaration by each of the persons making the application that he/she is of sound mind, not an undischarged insolvent, not convicted by a court for any offence and does not stand disqualified under section 203 of the Companies Act 1956, for appointment as a director. Non Profit Company under Section 8 of Indian Companies Act 2013 IV. A place of work in a restricted area (like a tribal area or a border area requires a special permit – the Inner Line Permit – usually issues either by the Ministry of Home Affairs or by the relevant local authority (i.e., district magistrate). To open an office and employ people, the NGO should be registered under the Shop and Establishment Act. To employ foreign staff, an Indian non-profit needs to be registered as a trust/society/company, have FCRA registration and also obtain a No Objection Certificate. The intended employee also needs a work visa. A foreign non-profit setting up an office in India and wanting staff from abroad needs to be registered as a trust/society/company, needs permission from the Reserve Bank of India and also a No Objection Certificate from the Ministry of External Affairs. Registration As trust As Society In Maharashtra, both as a society and as a trust As a company u/s 8 of the Indian Companies Act.